Environmental education is a holistic, lifelong learning process directed at creating responsible individuals who explore and identify environmental issues, engage in problem solving, and take action effectively to improve the environment. As a result, individuals develop a deeper awareness and understanding of environmental issues and have effective skills to make informed and responsible decisions that may lead to resolution of key environmental challenges. Some researchers see that Environmental Education owe its origins to the philosopher’s Jacques Rousseau (1712-1778), who thought that education should keep a focus on the environment. Thomas Pritchard has coined the term: “Environmental Education” in 1948 during the Natural Resources conference. The UN Conference on Human Environment in Stockholm in 1972 has empowered Environmental Education, by stressing the importance of learning about the environment, and by recommending that Environmental Education be recognized, promoted and integrated in education in all countries. Environmental Education is acknowledged as critical to save the nature in conferences ever since. Environmental education can be taught formally in schools classrooms, colleges and universities, or it can take place in informal learning contexts through NGOs, businesses, and the media, natural centers, botanic gardens, bird-watching canoeing, and scuba diving. Besides, Environmental Education takes place in various non-formal education programs such as experiential outdoor education, workshops, outreach programs and community education. 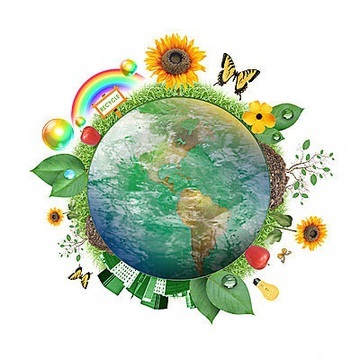 Environmental educator should deliver Environmental Education in a unique way as it is not only based on science, but also concerned with historical, political, and cultural aspects with the human dimension of socio-economic factors. It is also based on developing knowledge on socio-ecological systems, such as aquatic plant management. Environmental Education provides opportunities to build skills, including problem-solving and investigation skills. Qualified environmental educators should work in the field, conducting programs, involving and collaborating with local communities, and using strategies to link the environmental awareness, building skills, and responsible action. It is through Environmental Education that citizens, especially children, can test various aspects of an issue to make informed, science-based, non-biased, and responsible decisions.